This was a fun branding project from one of my former coworkers. Amye recently took over a screen printing business in Bellevue, Ia. 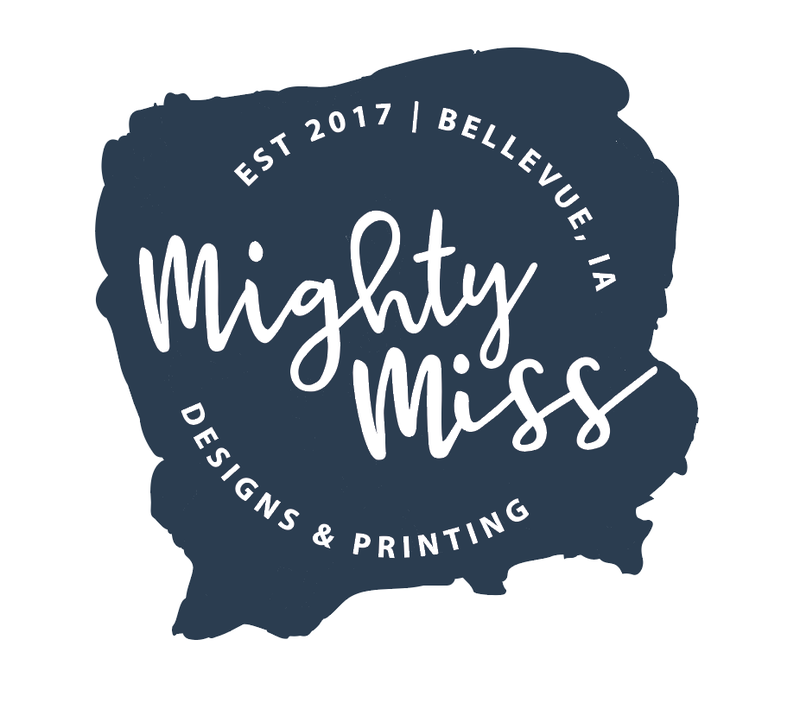 Her shop is located on the Mississippi River, so the name Mighty Miss was very fitting. She asked for a branding stamp that represented the work she would be doing and also its location. 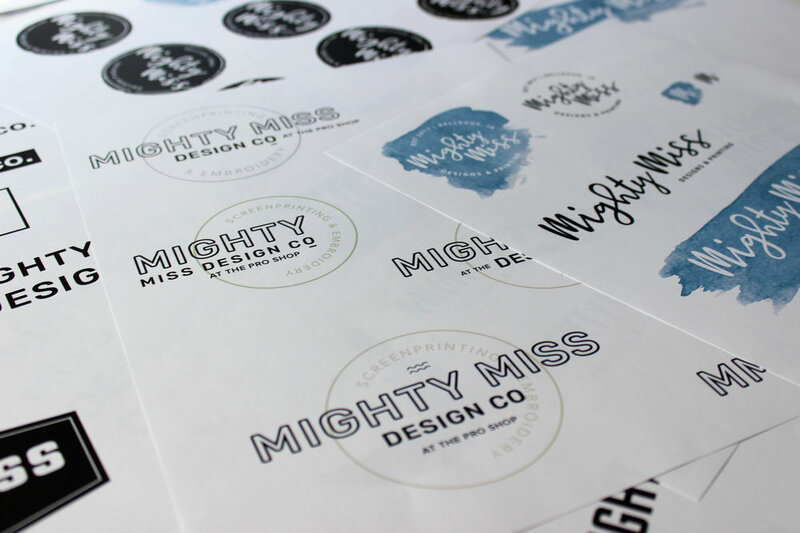 Our collaboration concluded with a final logo having elements of both: a background visual element representing a screen printing ink pass and blue for the Mississippi.